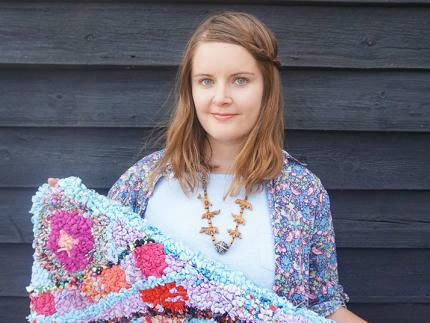 In 2014, I founded my company “Ragged Life” to make rag rug commissions, sell rag rug kits and run rag rug workshops all across the U.K. I’ve now taught over one thousand people how to turn their old clothing into gorgeous rag rug cushions, decorations and rugs for the home and have saved an estimated 20,000 garments from landfill. My workshops are suitable for complete beginners and I’d absolutely love to see you there. Careful though, you may just get hooked!